If you love to entertain, or just really appreciate unwinding with a post-work drink, creating a home bar is an absolute must. With a cocktail, friends will gather and linger around any inviting space, so bar furniture should be just as comfortable and stylish as it is functional. 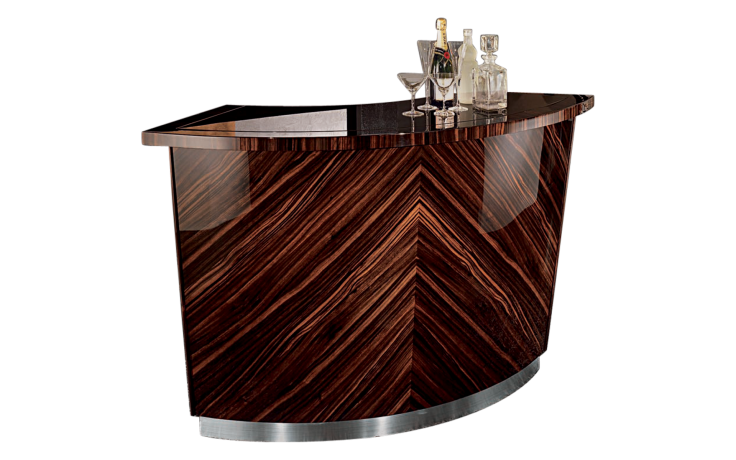 Fortunately, with a little bit of creativity, your home bar can be built in any room that’s already the social hub. Do you and your buddies congregate in a spacious den? Belly up with a full bar unit, and transform your space to the swankiest bar in town. Is most of your at-home entertaining done in a smaller scale space? 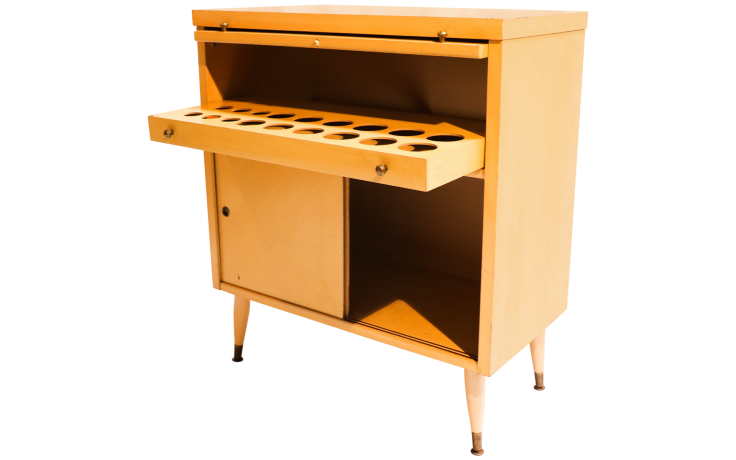 Build your watering hole with a functional cart or cabinet. A wet bar simply requires storage for your favorite bottles and stemware. Below, we’ve chosen five foundational pieces to build your unique home bar… wine not included. This bar features velvet-lined drawers, lots of shelving space, and everything you need for a traditional home bar. Sophisticated and dapper, it’s an ideal base for a perfect bar atmosphere that begs for a scotch on the rocks. Pair with modern bar stools to lighten up this rich Ebony Macassar, or opt for a leather seating arrangement for a full Mad Men vibe. Either way, this is where your friends will want to spend their weekends. A liquor cabinet doesn’t have to be a traditional armoire. The pull-out drawer and bottom shelves of this retro bar cabinet mean that you can tuck away bottles and stemware in something a little more unexpected! Sized for any space, this quirky bar cabinet is undeniably fun. Don’t have the space for a dedicated bar room? 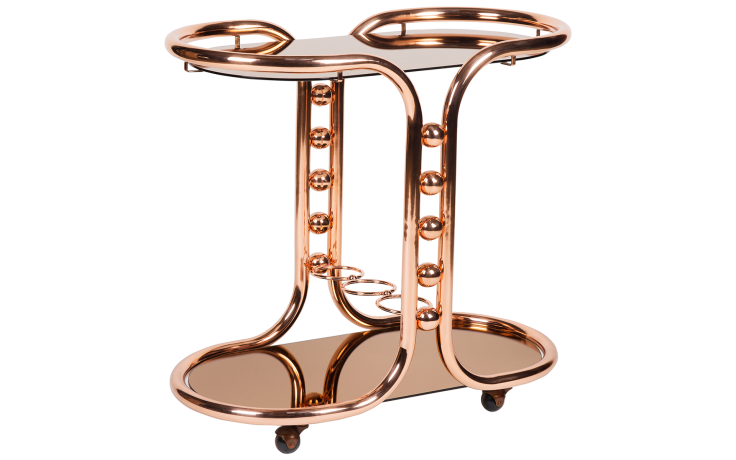 Show off your favorite bottles and easily serve your friends from this incredibly chic bar cart. It’s so attractive, fun, and modern, it almost doesn’t matter that its design is also incredibly practical. In a smaller room, every inch counts. With double tiers and built-in bottle holders, you’ll be able to load up on all of your home bar basics. Liven up any space with carefully placed artwork. 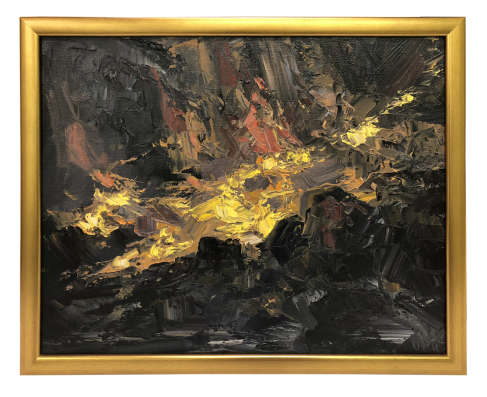 This dramatic piece by James Cook adds a heavy dose of energy to a bar room. Added layers of contrasting colors enhances an already attention-grabbing painting. Your guests’ eyes will keep sneaking back to this moody and alluring piece of art. The term “lounge” has two definitions. It describes both a space for socializing and, as a verb, relaxation. Seating arrangements create the comfortable space where guests want to relax (with a cocktail!). A bar stool may be the more obvious choice, but who doesn’t want to cozy up to a plush, upholstered seat? 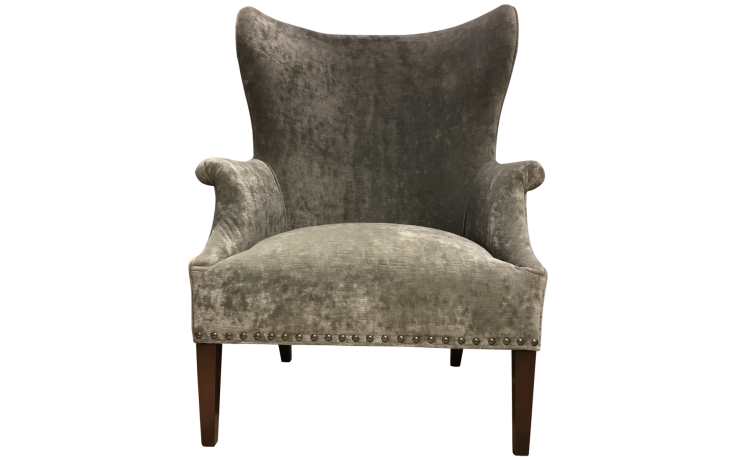 The classic shape of this Hickory chair, combined with the trendy velvet texture, balances a modern and timeless style. You and your friends will be lounging hard. Shop more bar accessories now on Viyet!